Below you'll find a list of brands we trust in our daily residential and commercial plumbing projects. 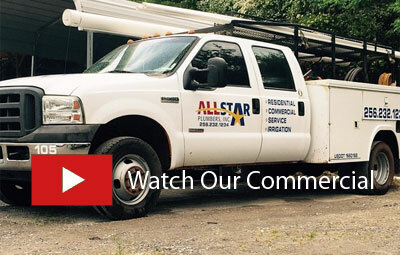 At AllStar Plumbers, Inc, we only offer the finest name brand plumbing products and materials. If you have a question about any of the products we carry or materials we use, contact us to learn more. Delta brand delivers exceptionally well-made, stylish faucets and related kitchen and bath accessories that are both beautiful inside and out. This market-leading product line features a unique combination of stylish looks and excellent quality, and is available in a wide variety of finishes. Rinnai Corporation manufactures gas appliances, including energy-efficient tankless water heaters, home heating appliances, and boilers. Rinnai company produces its own branded tankless water heaters, as well as rebranded units sold by manufacturers such as Bradford White and GE. Bradford White products are built to the highest quality and highest performance and they firmly believe in safe, professional installation. You'll find that Bradford White is the only major water heater manufacturer who fully supports the plumbing and heating industry -- You won't find their water heaters at the local retail center. Price Pfister is the leading manufacturer of kitchen/bathroom faucets, tub and shower fixtures and bathroom accessories with unmatched quality, innovative design in a wide variety of finishes to compliment any decor. Rheem is a leading provider of gas furnaces, heat pumps, air conditioners, air handlers, indoor air quality products, gas and electric water heaters. Rheem is the largest manufacturer of water heating products in North America. Watco is a manufacturer of residential and commercial freezeless faucets, yard hydrants and bath wastes with distributors and products nationwide serving your needs. They provide a number of bathtub drain and replacement parts for your home. Bemis is a global plastic products manufacturer, making a wide variety of consumer and commercial products including toilet seats, shopping carts, health care products, gas caps and gauges, and more. Gerber has residential products offer fixtures including toilets, lavatories and bidets; a full range of faucets for the kitchen, bathroom and laundry room. Its commercial product line includes toilets, lavatories, urinals and service sinks as well as mechanical / electronic faucets and flush valves. MAAX offers a broad range of bathtubs, showers and shower doors that provide the unique style, lasting quality and simple solutions. MAAX aims to be your brand of choice for bath products by meeting rigorous quality standards while offering a wide variety of product shapes, sizes, styles and prices. BrassCraft is a leading manufacturer of plumbing products for the new construction and repair / remodel markets. BrassCraft innovated and perfected the one-piece water supply valve and the flexible copper water supply tube, which have become the industry standard for residential and commercial plumbing projects. Noritz is an industry expert in tankless water heaters. Noritz provides both residential and commercial tankless water heaters and offers three lines of hot water heaters to support a wide variety of customer needs. Charlotte Pipe has been a trusted manufacturer of plumbing systems since 1901, and is the nation's top maker of cast iron and plastic pipe and fittings. They produce the highest quality products while maintaining the safest and cleanest plants in the industry, always being good environmental citizens. Sioux Chief provides American made rough plumbing products that save time and money on the job. They invest in technology, certifications, processes, inspections and evaluations on the front end so that they can hand the very best American made product to customers.